Darren’s late. 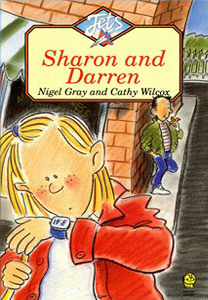 He promised to meet Sharon at 3.30 at the corner shop to buy her a crunchy bar – and now it’s 3.41. Wherever can he be? An ideal story for children who are just beginning to enjoy reading and for older kids who enjoy a story full of fun.